Luxury retailing has been evolving dramatically during these past few years: a wide range of formats and concepts have emerged, posing new challenges to managers. Luxury players are constantly striving to innovate, create new emotions, and design new products and distribution strategies. Today, retail has become a key battleground in the crucial quest to find and keep the best customers. 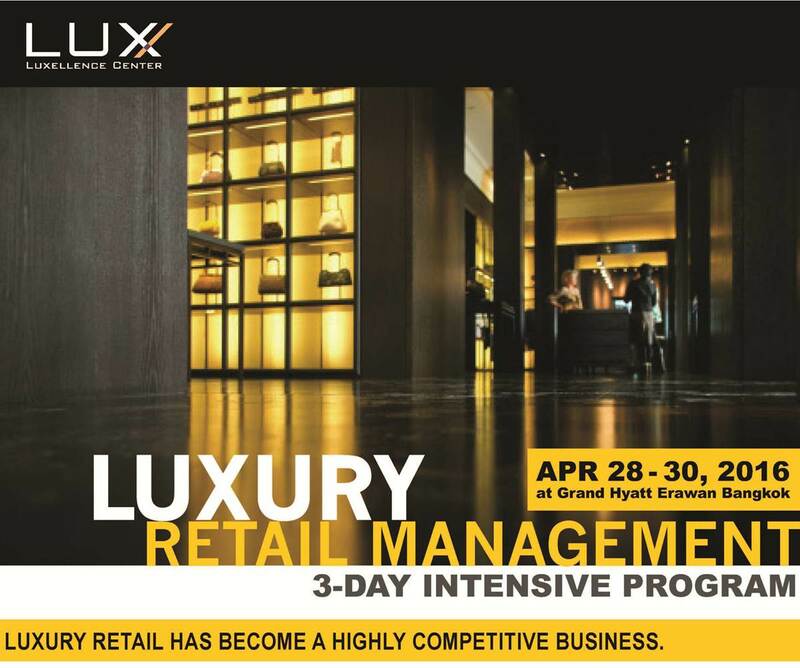 Luxury Retail Management Program is a must-attend for retailers, brands, consultants and marketers looking for strategic and tactical advice, tips, case studies on luxury retailing.